Named as the 11th best football player in the world by The Guardian, there is no denying Neymar’s shooting prowess. As the most expensive player at the 2018 FIFA World Cup with a market value of £162million, Neymar scored over 100 goals during his four year stint at FC Barcelona and is continuing to add to this impressive career tally at Paris Saint Germain with more than 40 goals under his belt in just over a year. 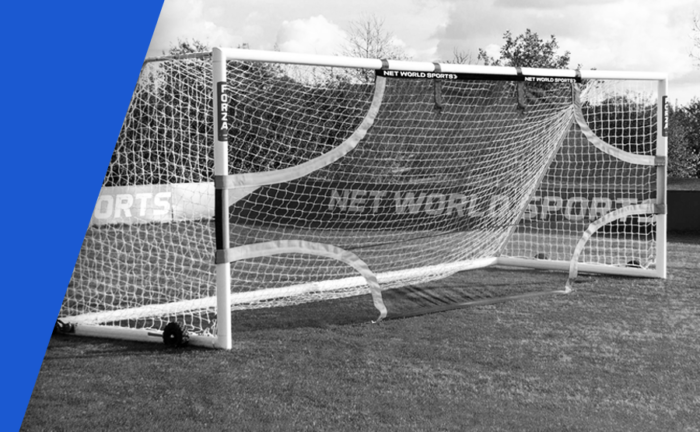 With so much to learn from the Brazilian forward, we’re taking you through the ways you can hone your skills and shoot like Neymar with the help of our Football Goal Target Sheets. With a total of 45 successful penalties throughout his career, Neymar is well on his way to becoming one of the top penalty scorers of all time and with the help of our Football Goal Target Sheet, you could be too. Set up your goal and Football Goal Target Sheet. Mark out 18 yards using our FORZA Flat Disc Markers. Give yourself five attempts to get the football into each of the holes, starting with the top left and working clockwise. Once you’ve manged to get the football into each of the holes within five attempts, reduce the number of attempts to four, then three, then two until you’re getting it in every time. *If you’re looking to make it even harder for yourself, incorporate a FORZA Football Free Kick Mannequin to act as the goalkeeper. Neymar’s free kick taking is just as good, if not better than, when he faces the keeper face to face in a penalty shootout. 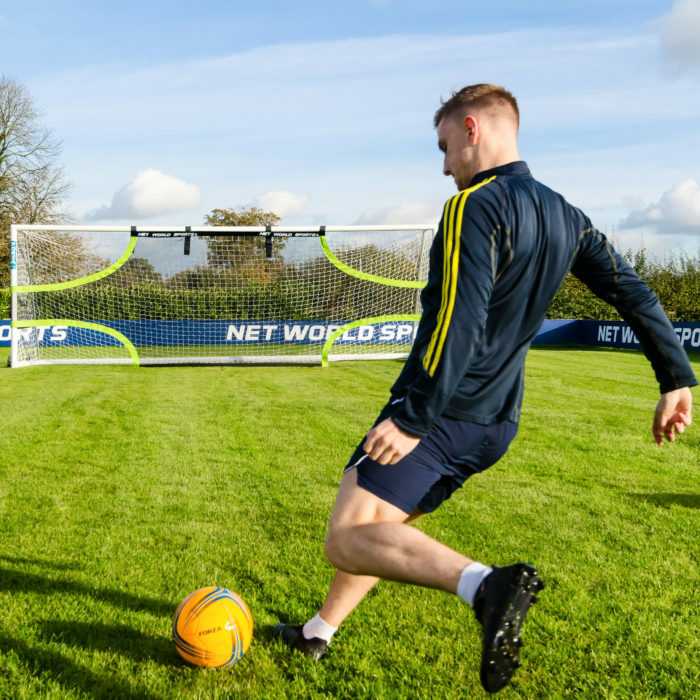 Awarded to teams following most types of fouls, Neymar has scored 13 goals through direct free kicks since his professional career began and you can perfect your blast and curl with our Football Goal Target Sheet and a set of FORZA Football Free Kick Mannequins. 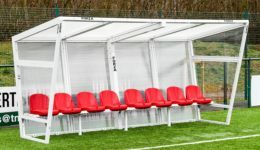 Insert your pack of three FORZA Football Free Kick Mannequins into the grass roughly 8 yards in front of the goal, ensuring the placement mimics that of the ‘wall’. From this distance, aim for the top left, then the top middle and then the top right hole of the target sheet. Don’t forget to give yourself a bit of a run up and curl the ball over and around the mannequins. Once you’ve mastered getting through the top targets from 18 yards, try moving more towards the left-hand side of the goal and then the right-hand side to try getting the ball in at different angles. When you’re confident from the 18 yard mark, try steps 4 – 5 from 20 yards, 22 yards and 24 yards. The Brazil captain continues to close in on Pele’s all-time record and it’s really no surprise. Whether he’s gone for a long shot or has been assisted by fellow Brazilian Philippe Coutinho, the one thing every goal will have in common (apart from the ball ending in the back of the net) is accuracy and control, something you can achieve from a bit of practice with our Football Goal Target Sheet. Grab two – four mates and from the opposite end of the pitch / garden, begin passing to each other, whilst moving closer to the goal. On the fifth pass whoever receives the ball should shoot, shouting out which hole in the target sheet they’re aiming for beforehand. Keep repeating steps 2- 3 until everyone has had a go and is getting the ball in every time. Once this has been achieved you can then start increasing the speed as well as the number of passes, and could even try incorporating some opposition in defence too. So, there we have it! Our top guide on ‘How To: Shoot Like Neymar’ using our FORZA Football Goal Target Sheet. 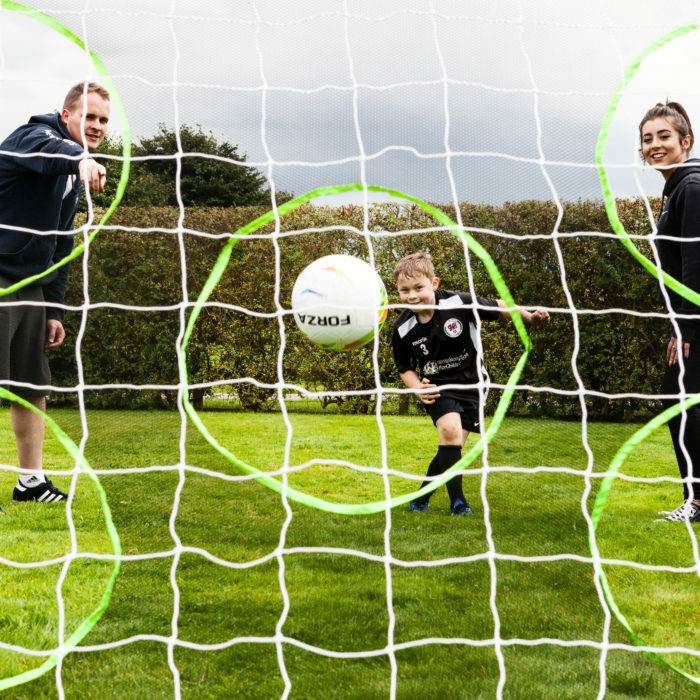 You can save 10% off our FORZA Football Goal Target Sheets when you spend £100 or more on equipment using the code UKTARGET10. This offer is valid until 11.59pm on 6th January 2019. For more deals, be sure to click on your country below where we will have deals running until the end of the month… bye bye January blues!